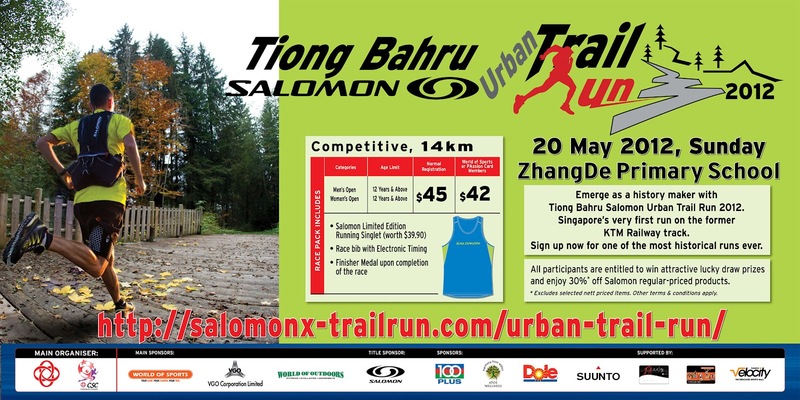 For 2012, the Salomon-Tiong Bahru Urban Trail Run route is along the former KTM railway .. a chance to experience a part of Singapore’s history. Scheduled for 20th May, the event distance has increased to 14km to allow runners to get the most out of this unique run. Last year’s Urban Trail Run was quite a lot of fun, and incorporated a ‘concrete jungle’ route complete with overhead bridge crossings. No doubt this year will be no less interesting, with a new route and added distance.